Pansing Brooks said a 2017 report by the inspector general of the Nebraska Correctional System showed that Nebraska has the second highest rate of prison overcrowding in the country behind only Alabama. The average daily population of Nebraska’s correctional system is 5,343 inmates, she said, which is 155 percent higher than its design capacity of 3,435 inmates. “We must take action now to ensure individuals are released back into the community in a way that keeps all of our citizens safe should an overcrowding emergency become necessary,” she said. 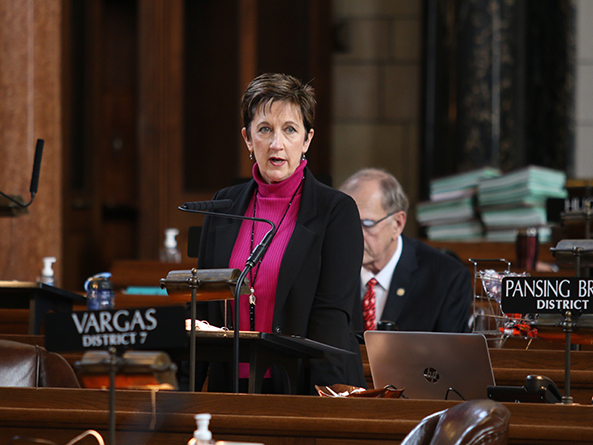 • LB932, introduced by Omaha Sen. Sara Howard, which would require the department’s medical director to establish a protocol for determining whether an inmate soon to be released should be prescribed and dispensed a medication-assisted treatment to reduce or eliminate an inmate’s use of opiates upon release. Howard spoke in support of the committee amendment, which included provisions of her LB932. 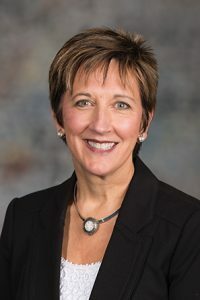 There is a dearth of substance abuse services and providers in Nebraska, she said, so it is important to help inmates control cravings for opioids while locating and securing those services. “Offering inmates about to be released the opportunity for a discharge protocol around medication-assisted therapy gives inmates the opportunity to not have those cravings for at least a month while they find the substance abuse assistance they need,” Howard said. • LB1118, introduced by Omaha Sen. Bob Krist, which would create a coordinated reentry council. Ebke said the governor, state Department of Correctional Services and Board of Parole had expressed concerns about these bills and recommended removing them to ensure the passage of the others in the amendment. She said the best way to ensure lasting success in the operation of the state’s criminal justice system is for all branches of government to work cooperatively. “This will move us forward by implementing a number of recommendations by our own oversight committees, while ensuring that we as legislators can work with the agencies affected,” she said. Krist objected to the removal of the four bills in the Ebke amendment. He said each bill directly addressed issues identified by various special investigative and oversight committees. Krist urged lawmakers to act independently and with expediency to address an inevitable prison overcrowding emergency. Echoing that sentiment was Columbus Sen. Paul Schumacher. He said senators must be forceful when state agencies fail to comply with legislative directives, whether intentionally or not. Following the 32-0 adoption of the committee amendment March 29, senators voted to advance the bill to select file on a 37-1 vote.